In 1964, Ducati dipped a toe into the large cruiser market with the mighty Apollo, a 1,256cc vee-four heavyweight designed to take on Harley-Davidson in the police market. The Apollo never made it into production, but 46 years later, its spiritual successor has appeared. At the back is that 8-inch wide rear tire, a subject of much speculation. 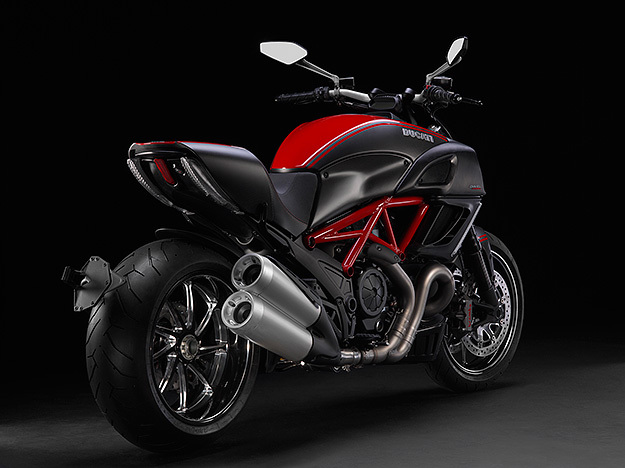 So no, the Ducati Diavel won’t be as nimble as an 848 EVO. 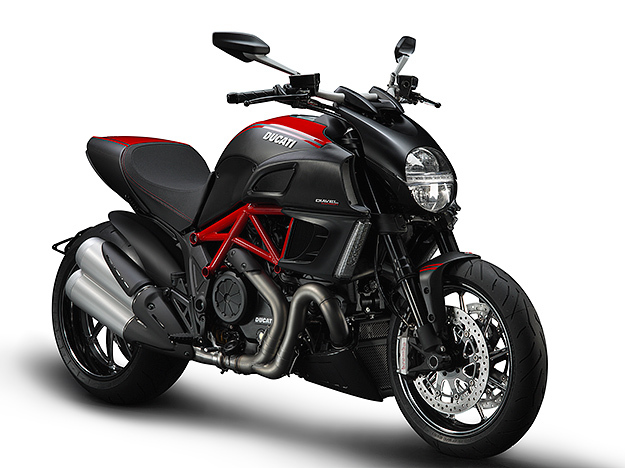 But Ducati will have worked hard to get the most out of the rubber, which is a state-of-the-art 240/45 ZR17 Pirelli Diablo Rosso II hoop. 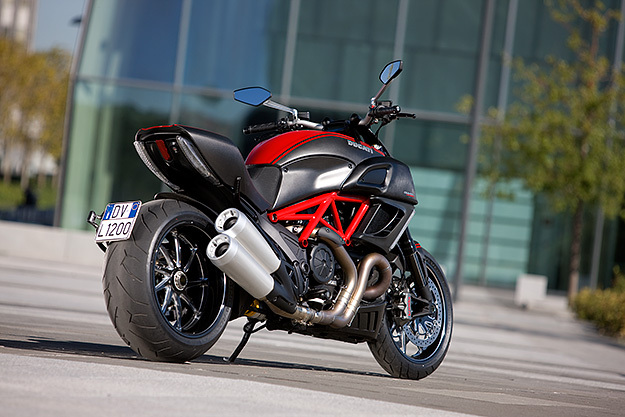 There are two models: the stock bike, and a Carbon variant (shown here) that weighs 3kg less and sports a slightly upgraded specification, including Marchesini forged wheels. 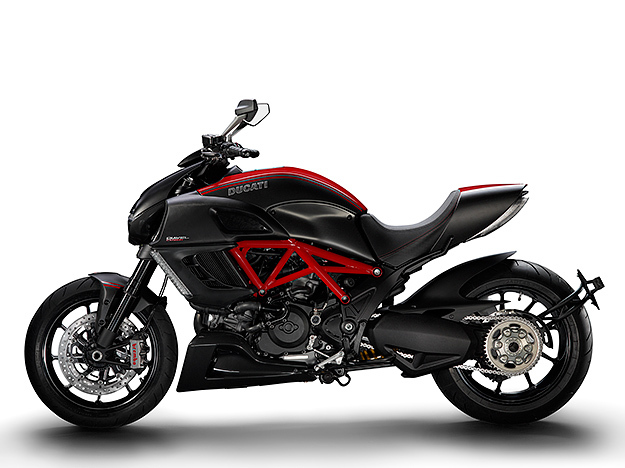 The Diavel probably isn’t a make-or-break bike for Ducati. 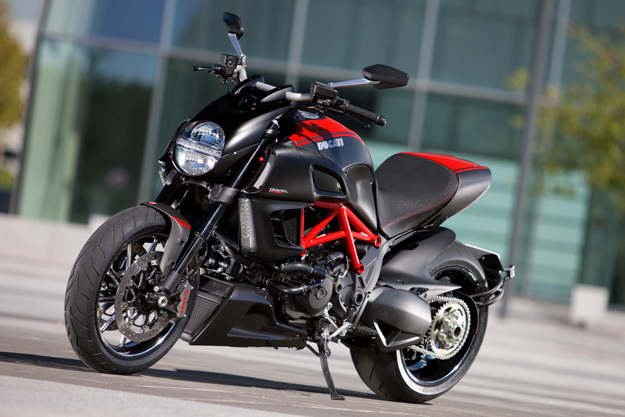 And warning shots have already been fired over its bows, with some Ducatisti believing that the Bologna brand should stick to the sportier end of the market. But the upside potential is enormous. The obvious parallel is the Porsche Cayenne SUV, another vehicle that stirred controversy during its gestation but went on to become a sales success. Then of course, there are the looks. 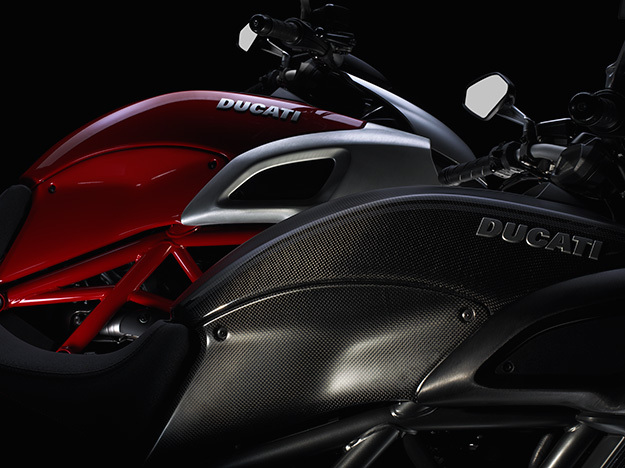 As they say, the devil is in the details—so what do you think? Poll: Comments or no comments?